Ernie Fraser began playing the fiddle at age 36, after having played the guitar professionally for 20 years. He took up the fiddle after listening to the new line of fiddlers that were emerging from Cape Breton. He soon rediscovered the lively nature of this music that originated with his ancestors. In fact, his grandfather – “Little” Simon Fraser – was a very well-known Cape Breton fiddler from Meat Cove. Ernie has played as a solo performer, as well as with various groups. 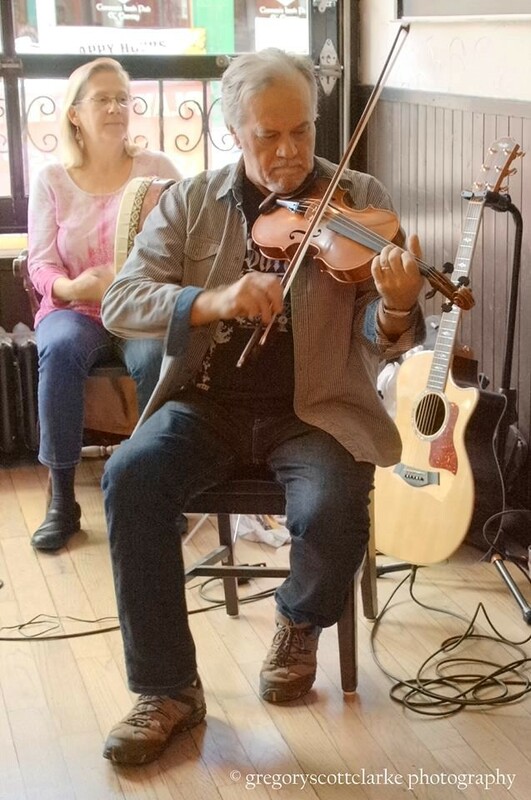 He was the Musical Director of the Ottawa Fiddle Ensemble and assisted greatly in the production of their CD, entitled “Waters of Northumberland.” Ernie has performed for Cape Breton dances for the Cape Breton Club of Ottawa. In addition to Cape Breton fiddling, Ernie holds a Bachelor of Arts and a Bachelor of Music Honours degree from Carleton University. Ernie has also played guitar professionally for many years and has performed Rhythm & Blues and Jazz with different groups in Ottawa. Ernie is also very experienced in Blues and Southern Rock style of slide guitar.